Fingerithmatic is a multi sensory or accelerated learning technique that uses the memory we all have naturally in our fingers. Little is known about how the memory works, but it was in use in bible times (Proverbs 7:3 tells us that the Israelites had to tie the '10 Commandments' to their fingers and sound them down into their hearts). This means that they learned them off by heart, by using their fingers. I have discovered a simple way of turning the fingers into a calculator, by using visualization, movement, vocalization, auditory senses, touch and sight. My program, not only teaches a times table in just a few minutes, but also: division, fractions, long multiplication, addition, subtraction, percentages, family of facts and patterns to work out higher and lower tables. ALL AT THE SAME TIME. My whole system is taught in just over an hour, and for children with dyslexia this seems to be the best way for them to gain real success, as it uses all the senses. It is fun for me the teacher, and fun for the students, some of whom have had no or little maths success prior to Fingerithmatic. Your teaching will never be the same again either! Practice always makes perfect, and I set a 10 second twice a day homework regime for each table learned, for at least a month or until the fingers are no longer needed. 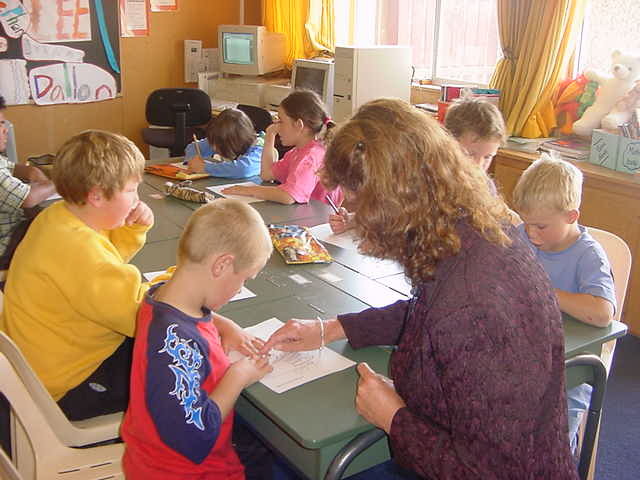 On one of my last visits to a school in the North Island, which was an impromptu one, and after my teaching finished, I was not allowed out of the door until a date for my return had been set. Over the next few days I also taught 38 families for 1 and 1/2 hours per family, all students left with a table or 3 on their fingers and all of the other abilities spoken of earlier. On my way home I went to meet an extremely worried mother of a child with Dyspraxia, I visited the school that the child attended in the lunch hour, her teacher and the maths teacher came in to watch this mysterious new form of teaching. The 10 year old learned her 2 times tables in about 10 minutes and blew everyone away with her new success. The patterns all were able to be recognized. Later I had another call from her mum to ask for some more help. I visited their home this time and she learnt the 12 times table just as quickly. Her mum rang yet again and asked if she should carry on as the 2's and 12's were firmly in place. I suggested the 9's as the patterns are amazing using my system, I've never heard back from them again. That seems to be the way, so much confidence is gained that I am no longer required, making my job rewarding, but very short lived. I could relate many more successful experiences to you, but you really do have to see it to believe it. I hope this helps you to understand Fingerithmatic, I come to your school or your home with my resource kit and some whiteboard markers, I draw a large set of hands on the board and start tapping out the students' fingers and using the visualization technique, in just a few moments all the lights are coming on. I am just the fuse replacer, most of the hard work has already been done, I just seem to be able to flick the right switch and have managed to change the lives of thousands of New Zealand children and their families and also the way math is taught in many schools. I hope that I am given the opportunity to change more lives for the better and I need people like you in order to do it. Alternatively, my resources are available through my web site in order for you to become the one to flick on the switches. I thank you on behalf of the young minds in your care. PS. The Elephants never forget book has all my teaching tips simply explained and many other resources you will find invaluable to your teaching. 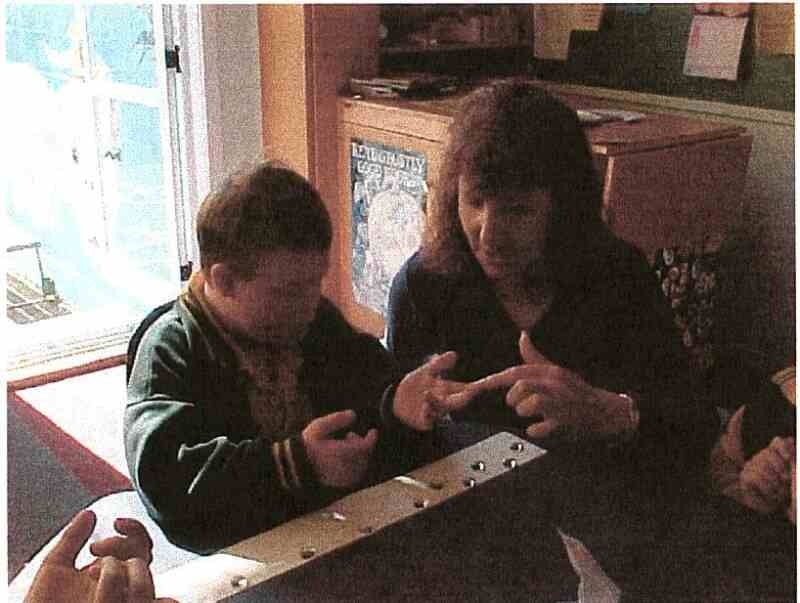 The Listen to your fingers teaches the concept along with addition and subtraction and is also very easy to use. 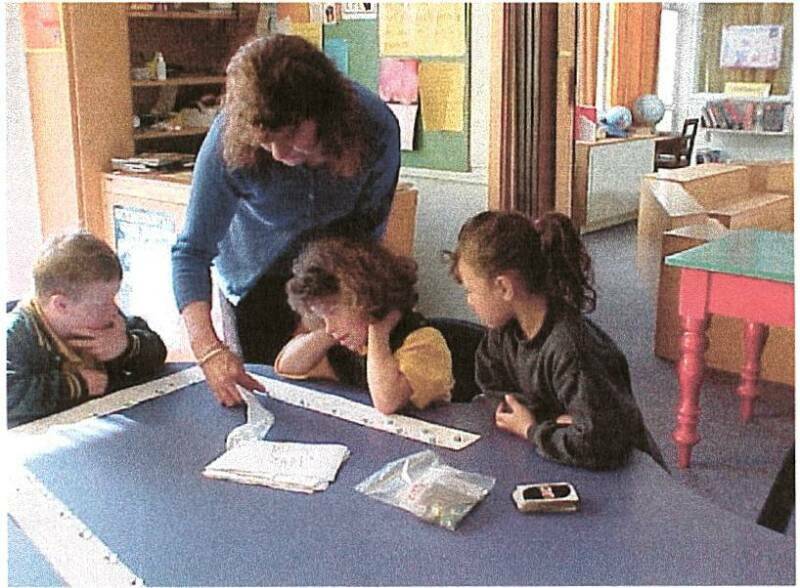 For More information on teaching children with Special Needs, read all 3 of the Fingerithmatic newsletters by clicking the link below.